A world-class cosmopolitan learning experience. The applications exchange with Faculty of Law, National University of Singapore (NUS) are open now. Application forms can be accessed here. The Faculty of Law is part of the National University of Singapore (NUS), the oldest tertiary institution in Singapore. NUS traces its rich history to the founding of the Straits Settlements and Federated Malay States Government Medical School in 1905. The Medical School was renamed the King Edward VII College of Medicine in 1912. In 1949, it merged with Raffles College (itself set up in 1929) to form the University of Malaya. The roots of the Faculty of Law lie in the establishment of the Department of Law in the then University of Malaya in 1956. 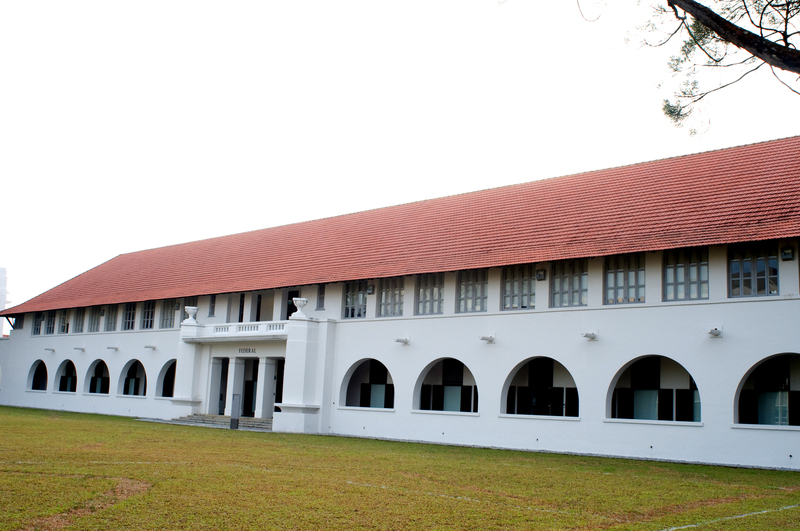 The first law students were admitted to the Bukit Timah campus of the University in 1957. In 1959, the Department attained Faculty status with Professor Lionel Astor (“Lee”) Sheridan serving as the founding Dean. The pioneer class of law students graduated in 1961, counting among its most illustrious members Professor Tommy Koh (Ambassador-at-Large and former Dean), former Chief Justice Chan Sek Keong, former Dean Thio Su-Mien, and Emeritus Professor Koh Kheng Lian. In the early 1960s, the governments of Singapore and Malaya announced their desire for the Singapore and Kuala Lumpur divisions of the University of Malaya to become autonomous national universities in their respective territories. Thus, on 1 January 1962, the University of Singapore was born. Singapore was admitted to the Federation of Malaysia on 16 September 1963. The union lasted until 9 August 1965, when Singapore became an independent republic. Throughout this period and thereafter, the Faculty of Law continued to flourish as part of the University of Singapore. In 1980, the University of Singapore and Nanyang University (Nantah) were merged to form the National University of Singapore (NUS). With that, the Faculty of Law became part of the modern NUS, simultaneously moving to its new Kent Ridge campus. A quarter century later, it was announced that the Bukit Timah campus would be returned to NUS. The Faculty of Law, the Lee Kuan Yew School of Public Policy, and several research institutes made the move from Kent Ridge back to the hallowed grounds of Bukit Timah, opening its doors there once again on 17 July 2006. Last date for applying is March 24, 2018. More information about Faculty of Law, NUS Law may be accessed here. Applications can be accessed here. Application form for NUS can be accessed here.